Established in 1999, located in Nanjing city, China. CEMT is a world-renowned manufacturer and supplier for lead acid battery equipment, included envoloper and stacker,COS, assembly line, finishing line, formation system, charger and discharger, plate making and Non-standard equipments etc. The company has nearly 100 outstanding engineers and experts, represent the advanced technology in battery industry. The company has passed SGS ISO9001: 2008 international quality system certification. CEMT has more than 70 utility patents and 10 invention patents. "CEMT" brand is famous around the world battery industry, the equipments have been sold to Asia, South America,North America, Europe and Africa. There are a variety of intelligent products available for customers option included semi-automatic, automatic and fully automatic equipment. CEMT is also providing good after-sales service. At this point in its long journey, CEMT has thus become a one-stop shop which can truly meet the needs of battery makers with a wide range of solutions. The company mission is Struggle for improving the productivity of human beings and creating a safer and more friendly environment. 1999.11,Nanjing CEMT Automation Equipment Co., Ltd.
2003.02,Nanjing CEMT Mechatronics Technology Co., Ltd.
2005.12,CEMT International Group was founded in Hongkong. 2006.12,CEMT(Nanjing) Electric Technology Co., Ltd.
2007.12, new plant is completed in the Jiangning Science Park, with an area of more than 20000m2. 2009.11, 10th anniversary and founded Jiangsu CEMT energy equipment Co., Ltd.
2010.12, Jiangsu CEMT energy equipment research institute, the factory area is over 15000 m2. Since the establishment of CEMT, all products have been accurately designed by computer. CEMT has fully implemented the ISO9000 quality system and has passed the SGS ISO9001:2008 international quality system certification. The company's equipment has a good reputation among its users, and the company's users are at home and abroad. Our vision is:to become a leader in the world's energy equipment. Our mission is: to improve the productivity of human labor, strive to create a safer and more environmentally friendly environment! Our style of work is: to keep promises, no excuses, absolute obedience and never give up! Customer concept: create value for customers and serve with love. Team concept: same person, same voice. The concept of success: tribulation is a compulsory course for success. Development concept: sacrificing individual to accomplish the more. Sales concept: sales are products, value and love. Brand concept: brand is identity, responsibility and commitment. Working concept: happy work and practice simple methods to the extreme. Achievement concept: ordinary people pursue goals, excellent people exceed goals, outstanding people create miracles. The idea of being a man is: to be grateful and to win respect with love. If you have any questions or suggestions, please leave a message for us. Our customer service will answer you at the first time. Industry Conference丨The 4th times of the 8th Congress was a success. Industry Conference丨The 8th China International Energy Storage conference is a great success. Quality upgrading丨Conquer you with quality! Conference Report | Meeting on "Quality Promotion Activities of Lead-acid Battery Industry and Establishment of Expert Committee on Quality Assurance of Lead-acid Battery Products"
Founded in 1999, CEMT is located in Nanjing city, China. At present, it has 370 employees Due to the expansion of industry, aspiring people seek common development. The company holds high the principle of employing talents first, the salary standard for technical talents is higher than the average industry standard of 20%~200%, and the salary adjustment for qualified technical personnel is about 10%~80% every year. The personnel concept "We first invite you to come with your very satisfactory salary, coupled with a very sincere heart to let you grow with Xiante". "Technology innovation, service forever" is the business philosophy of CEMT Company. It is our pursuit to be the leader of energy equipment in the world.The company is growing at a rate of more than 50% per year, providing a broad space for the development of the pioneers. 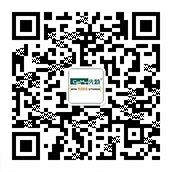 CEMT Energy Equipment Co., Ltd.